How do I add a Short Answer quiz? Short answer quizzes let you collect open ended questions and answers. See how learners view Short Answer quizzes. 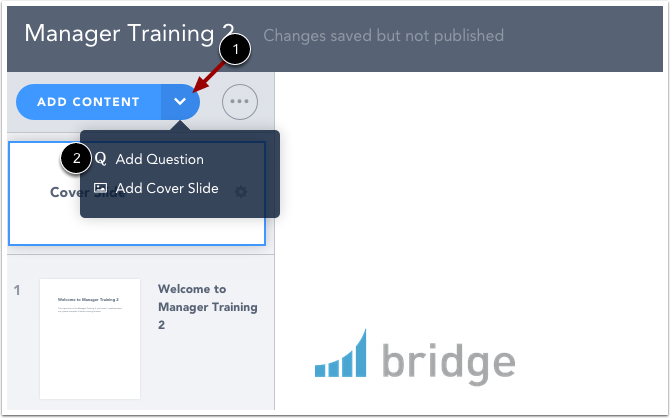 To add a quiz, click the Add Content drop-down menu  and click the Add Question link . Click the Short Answer quiz type. In the text box, enter the question text . Bridge will automatically save your entry. 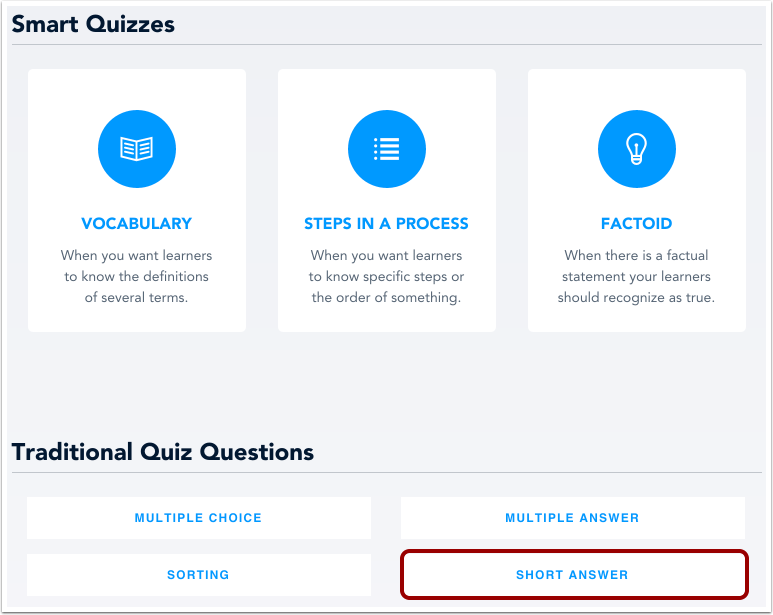 To add learner feedback to your quiz, click the Customize Learner Feedback menu . You can upload an image if you would like to assess understanding of visual content. To upload an image, click the Image icon. In the paste URL field , you can paste a URL for your image file. If your file is located on your computer, you can upload your image file , or you can directly drag and drop the file from your desktop into the image upload box. Previous Topic:How do I add a Sorting quiz? Next Topic:How do I add feedback to a quiz question? Table of Contents > Manage Courses > How do I add a Short Answer quiz? Re: How do I add a Survey to a program? What do quizzes look like in my course? How do I add course content? How do I add feedback to a quiz question?